However I am years and years and years behind. So many years behind that the sheer idea of trying to catch up is enough to scare me away from ever starting. and I got a glimmer of hope. and you get the feel of a scrapbook without all the work. 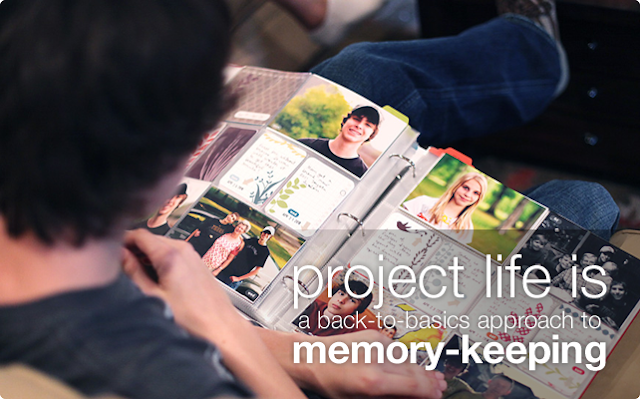 So have any of you tried Project Life for yourself? Is it as cool and easy as it looks? it is as absolutely cool as it looks! this is my 4th year doing it and it has totally changed me. that may sound dramatic--but it's the truth. i've been a scrapbooker for 13 years. my daughter's early albums are full of one photo layouts and 2 page spreads of everything she ever did as a child and they are beautiful. 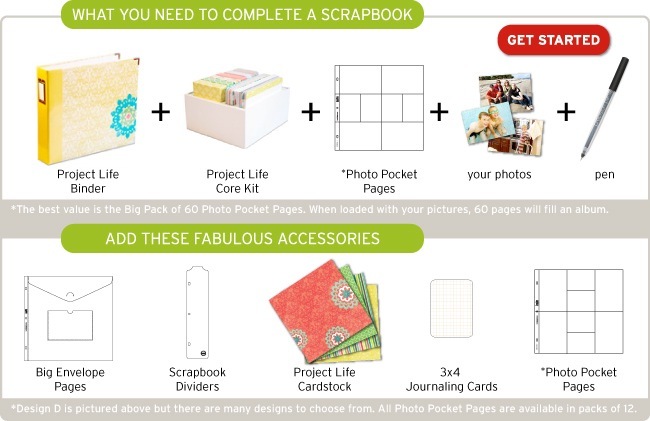 as the years went by, i realized that scrapbooking was not fun anymore--more of a chore that needed to get done before i was too far behind and i was becoming a hoarder of scrapbook supplies. i kept buying and buying but never getting around to using my supplies because it was all too much and i was overwhelming myself. 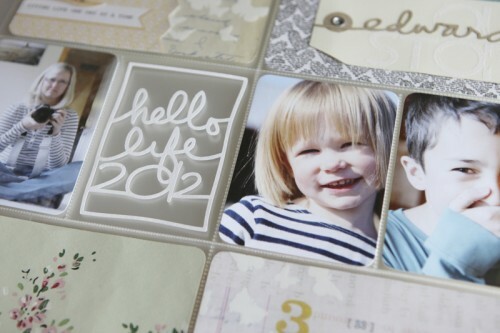 this is the easiest scrapbooking i've ever done. you do not need scissors, a paper cutter, etc. just pop your pictures in, journal and you're done! 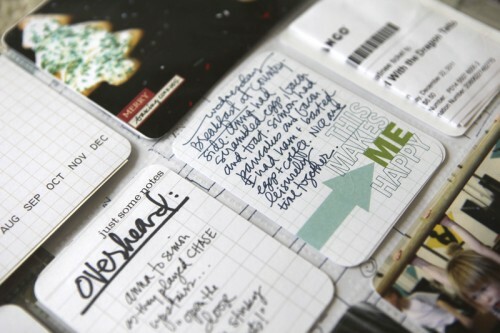 now, of course, i add little things here and there to personalize my album and to use up all these supplies! but you don't have to use anything extra. just try it. i promise you that you will not regret it!! I have not but it looks like the cool system that Wendy from Wendolonia has been using. She has been posting the progress of her scrapbooking! Creative Memories has albums just like that. I did one for our 1st vacation with Savannah. It's super easy, and the journaling notepapers made it a bit more fancy. I've also been having fun making photo books on Shutterfly. The girls love having "books" to read. I have not, but I love to look at the weekly posts on the mom creative. Good luck!